In late 2009, I was watching the movie Julia and Julie, when my elder son Matthew asked me if we could do something similar, but with America’s Test Kitchen. So on January 1st, 2010 I pledged to my sons to make 100 new recipes from Cook’s Illustrated, America’s Test Kitchen and Cook’s Country over the course of 2010. Old recipes didn’t count towards the 100, but I include them in this blog. After succeeding in attaining my goal in 2010, I failed to reach my easier goal of 100 recipes (including new and old) for 2011. For 2012, I changed my goal dramatically and now I am promising to make every new recipe published by Cook’s Illustrated magazine in 2012. Why: It started because I felt 2009 was a terrible year, and my belief that great food was enough to make me feel better! It worked (more or less) and each year since things have been better than the prior year. Who is Chris Kimball? For those who don’t know him…no..it’s not me. He is the founder of Cook’s Illustrated magazine and the “personality” of PBS’s America’s Test Kitchen. I know he is s not the real guy behind the recipes (we love Julia and Bridget too). But whenever things get low, I sit down with my two boys in front of the TV and we would watch America’s Test Kitchen. There are always 5 or 6 episodes on our DVR. Later in the week, I make something fantastic for dinner. So for a few dollars everybody is happy again like it’s 1999. Hello – just a note to let you know some folks are reading, even if we aren’t posting comments. ( I can’t imagine posting unless I’ve made the dish myself, there will be a lag-time….) Glad to have found this blog = fun! I”m reading and those recipes you give good ratings to that also sound good (ingredients-wise) to me – I’m getting the recipe from the CI site to make some time in the future. More power to ya! & Happy 2010. Thanks. Glad to know there’s someone out there!! Let me know your take on the recipes, if you try any. What a great idea. My husband and I love the Cooks Illustrated recipes. We refer to the “Best Recipes” collection as The Bible. Good luck! Hi – just curious. Have you bought the book? If so, what do you think of it? I’m still hemming and hawing. Hi, no, not yet. Right now, I am working from their website. I will probably buy the cookbook, though, because there are so many good recipes. There are worse ways to spend $30. Thanks Franca. I’m having a lot of fun with it. Discovering many ATK treasures that I had overlooked in the past. Hola! Me encanta tu blog. Felicitaciones.En mis meses sin trabajo yo disfrute mucho preparando recetas nuevas para Bob. Y mi pasion culinaria continua a pesar de que ahora trabajo de 9 a 5! Cocinar es casi tan lindo como haer jardineria. Adeante y suerte. Gracias, a mi me ayudar calmarme cuando siento los tiempos turbados. Cuando las cosas estan super locos en la casa, asi me pongo hacer una receta bien complicada y dedico 6 horas cocinar algo rico. Y despues, si las cosas no han mejorado, por lo menos hay algo rico para comer. Yes. Food is great comfort. Si. La comida reconforta el alma..
Gracias. Not bad for a learned second language. Pero si, estamos de acuedro que la comida no solo alimienta el cuerpo. Gracias, aprendo ingles en blogs de comida como este y he tenido muchos libros de recetas, el ultimo que compre fue el de ATK y ya no le hago caso a los otros. Me encanto tu Blog. Found you today via your link on the CI site….I will continue to follow you on this journey. We have similar aged boys who love everything CI. Moi aussi je suis arrivé ici grâce au lien du site CI. Bien que francophone (je suis belge), je suis un grand fan de CI, CC, ATK et je collectionne les magazines, livres et autres DVD. Bon courage pour la suite que je suivrai attentivement. Traduction : Me too I came here via your CI link. Although french speaking (I am a belgian), I am a big CI, CC, ATK fan and I buy all the magazines, books and DVD. Good luck for your future recipes. Thank you. Hopefully the recipes translate okay into metric measurements. Have you tried their “Carbonnade a la Flamande”? Yes indeed. It’s so funny. My recipe for that typical belgian (flemish) dish is an american recipe. But I use a belgian brown beer to do it : Leffe brune. It’s a big success. I really, REALLY hope that you will email me. I’d love to give you a few tricks and tips to get your blog out there. I just linked you to my Facebook page and had some of my food blogger friends pop over to visit. I don’t know Word Press very well, so I don’t think they have a “follower” feature like my Blogger version does. However, if you created a Facebook Fan Page, you’d drive a whole lot more traffic to your blog. I think you’re doing a great job, and would certainly love to keep up with your posts. I am a HUGE fan of CI, ATK and CC. My email is foodiewife@gmail.com My blog is “A Feast for the Eyes” and I am not trying to advertise on your blog. I’m simply a food blogger who likes your blog and honest evaluation of each recipe. Keep it up! Hey! Just found you over at CI! I’ve been cooking ATK and CI for years and it’s my go to source for all food! Good luck! I’m reading you now, can’t wait to catch up! Started fiddling with my own blog yesterday…time to get to work! I have just found your website and can’t wait to use some of your ideas, I have all the magazines from the very beginning. Heya I have a question: do you keep recipes electronically? (I assume yes.) if yes – HOW? What software do you use, if any? I am looking at MacGourmet but it doesn’t seem to offer me exactly what I want in a software program to organize my personal recipe collection. Yes I do keep them electronically, but principally in MS Word format. In other words, an old-fashioned print out of my favorite recipes. I write changes directly in the binder and then periodically incorporate those changes into the Word document. I think it’s not particularly efficient, and specific software is probably better. Fortunately I also have this blog to also remember recipes that I make (until their incorporation into my regular cookbook). Really glad you’re doing this. Just found you after doing a search for Cook’s Country’s “Magic Chocolate Ice Cream” (a quart of which is chilling down in my freezer at this very moment – I sure hope it turns out well). I look forward to following your adventures! Hi, thanks, I’m glad you find it useful and/or interesting!! With the heat-wave I have been wanting to make an Ice Cream cake to try out CI’s new vanilla ice cream recipe. How is the Magic Chocolate Ice Cream? I need a chocolate recipe for cake’s layer #2. Just found your blog, and loved your updated Beef Stroganoff recipe–but where to you find tenderloin on sale for $5/lb??? I feel lucky if i can get it for $10 on sale! Where I live it goes on sale at ShopRite for as little as $4/lb for whole, untrimmed tenderloin. But only once or twice a year. The normal sale price is closer to $10/lb. For the rest of the year, Chris Kimball recommends steak tips, flap meat, or blade steak. He also claims trimmed tenderloin can be found at club stores for $8/lb, but I am not a member. I’m so excited that I just found your blog and can’t wait to dig thru it, much like i’m sure your family dug thru the delicious meals you made. In the process of watching the shredded beef and did a search for the recipe and landed here. Wow my son just sent me this link. I am bummed I am finding it so late. I love Julia and Julia, wish I had the know how and time to pull this off. And America Test Kitchen is my all time favorite program. I will follow from now on. Good for you. Have fun. I’m so excited to have found your blog! Keep cooking! This is fantastic…I love to try out America’s test kitchen recipes, so it’s great to know that someone else is doing the testing for me! What a great blog! Glad I found you and look forward to cheering on your progress. Love your blog! I also love to cook and enjoy CK’s shows. Just found your blog. I love their shows and think it is a nice idea for you and your family to experiment like that. It takes time and commitment !! 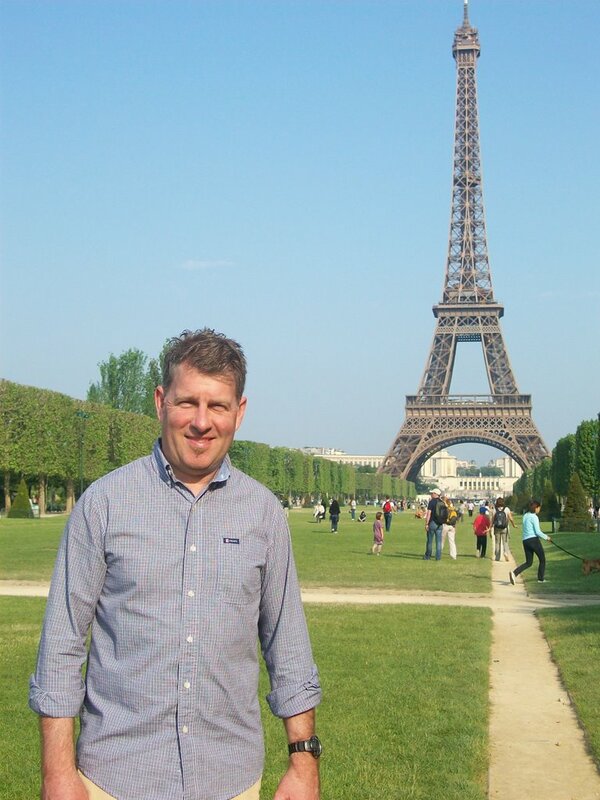 Hope to keep up on your blog – thanks for everything and enjoy. Thanks..this is my third year now, and my kids are still just as excited as ever when I make a new recipe. I enjoy your blog, but would like it much better without typos. Sorry, it’s just something that stands out to me. Also, I think sometimes your recipes are missing steps. Still, I like it, like ATK, and like to hear how things pan out in real life. Have fun! I would like it better too, if only I had an editor. If you notice something please let me know. My descriptions of the steps are definitely different than ATK’s, Usually I re-organize the steps to minimize the mess, but I do provide a link to Chris Kimball’s original recipe in case you prefer the original. I will 😉 Would you like me to leave edits as a comment or email you? Just wanted to say that I love your blog. Found it about six months ago. Keep up the great work! Thanks, I’m really enjoying all the food! Hi Mark, I love your blog and your journey through America’s Test Kitchen recipes!! I too am a fan of the program and have many of their Cook’s Ilustrated monthly magazines, in addition, the 2000 annual Cook’s Ilustrated Cookbook. I used the (authentic) Buttercream for the icing called for in Cook’s Illustrated recipe, but decided to kick it up with a different filling between the layers. It’s Coconut Cream Filling from Martha Stewart’s Desserts cookbook–> an egg yolk and cornstarch cooked custard with toasted coconut…. it was unbelievable. I did see an episode a while back when Chris Kimball made the Coconut Cake and he even remarked that it was one of, or maybe the best recipes they had made on the show – I totally agree! Thanks for this great blog, Mark, and as Jacque Pepin would say. “Happy Cooking”! Hi Cindy..no I haven’t tried the coconut layer cake. Wow, a 5-layer-cake must have been breathtaking!! I do remember the ATK episode of coconut layer cake; not sure if it’s the same one. I’ll keep it in mind for my next event. I had this cake a few times. I made it once. Excellent, even with the imitation coconut extract. Frosting doesn’t freeze well, but I kept it in there a couple of months. What a fun project. I too am a CI fanatic. I really appreciate the reviews you give and also the mess level. I’ve been scrolling, but see there aren’t many recipes that are 5 stars. I find that too with the CI recipes, they are good, but not a “knock your socks” off. Some are great, but not worth all the extra steps. Off the top of my head, I’m thinking of the empanadas. Hello there, I don’t know your name and I looked all over this site and only found your sons name so sorry for that and Hello Matthew, just found your page about 3 days ago and love it. I live in the UK and have been writing down my favorite recipes from ATK while watching it cos u can’t get the printed version. I just put u on may facebook thing so hope people will take notice. Well best of luck to u and ur family and keep up the good work. My name is Mark. My name isn’t really on the blog, because people say potential employers google everybody to look for dirt. I think a cooking blog is pretty harmless, but occasionally I sharply criticism a bad recipe. Anyhow, it’s just for fun. Thanks. I’m in a bit of a slump right now, it’s been so difficult this summer to cook new recipes. But once the boys go back to school, in another month, I have a huge pent up desire to cook up a storm. I just got married and am cooking my way through the ATK Family Cookbook! I fell in love with ATK a few years ago and am totally enjoying this new adventure, as is my husband! I also got my idea from the book/movie Julia and Julie. I am excited to find and now follow your blog! So funny. I saw Julie and Julia too and thought about starting my own blog about doing recipes from the America’s Test Kitchen TV show. But you beat me to it so I’ll be happy to just follow your blog. Just goes to show there’s never an original idea in the world. ATK is my favorite show and the source of some of my best recipes (I posted my response to your chili recipe this morning). My favorite so far is the Chicago-style Pizza. Literally the best thing I know how to make and I’ve made it about 2 dozen times now. The Almost No-Knead bread is pretty awesome too – better than anything I can buy in the store. I’ve had about a 50% success rate with ATK recipes. About half the time the failures are totally my fault (I love to cook but never claim to be especially good at it) and half the time it turns out like it’s supposed to but seems underwhelming. I checked out your list of things you have yet to try and the one that stood out to me was the Peanut Butter Cookie recipe. They’re my favorite kind of cookie but I’ve never found a recipe that turns out with the perfect amount of chewiness. That’s on my agenda for this weekend. Great to see what you are doing on your blog. I am obsessed with Cooks Illustrated and try to make 3 recipes a week out of their Cooking for Two or Simple Recipe magazines you can find at the supermarket. I have never had a bad recipe and have learned so much about cooking through their recipes and texts. I was about to start making the Velvet Devil’s Food Chocolate Cake from Cooks’ Ill. when it occurred to me to find out others’ opinions of the recipe. One beef I have with CI & their empire is the lack of readers’ ratings of the recipes. So, I googled and came to your blog. You have a great blog! Keep up the good work. You may also have inspired me to visit Puerto Rico sometime. Thanks. Yes, when I watch America’s Test Kitchen, Chris Kimball always says how great each and every recipe is. While most recipes are well-above average, I agree that it’s nice to have a second opinion about what is great and what is just so-so. Do you ever make recipes from any of the atk or cc cookbooks? Last night I made Cider Braised Pork Chops and they were great! It took a bit of time for the braise but the prep was easy. We had them with eggless noodles and asparagus. Since I only made four chops, we had extra sauce and my guy was spooning it over the noodles. Yes, coincidentally I have 3 of their books checked out from my local library. The Coq au Vin recipe I have up now is from ATK’s cookbook, and today I cooked chicken from the ATK Health Family Cookbook. But admittedly, this year has principally been about their magazine. I just wanted to comment on how much i enjoy your blog. Not only because it’s about my favorite cooking magazine/show, but because it offers honest and personal opinion about what went right and wrong. Your approach is refreshing and also very practical, since so many food blogs tend to focus on taking food beauty shots and gloss over the end results. Anyway, thanks once again for taking time to write this blog! Thanks. WordPress is always moving things all over the place, but I’ll see if I have any control over it. I am an America’s Test Kitchen junkie!! I am elated to have found your blog! I will use this as my CI/CC/ATK second source of information! I just love this! Hi Mark, this has nothing to do with cooking but more about me being technically challenged — I’m much better in the kitchen. Still trying to figure out this WordPress stuff and my avatar/gravatar still doesn’t show up — arghh! — my question now is: how do I get email notifications when you post new stuff? You are now my new favorite blog. I am a huge Chris Kimball fan and have converted my brother and son to becoming Chris cooks. Looking forward to reading your thoughts and comments. Really enjoy reading your blog and a second opinion on America’s test kitchen recipe it’s really a plus! Fantastic!!! My mom just got me into following your blog; she knows I love Cook’s Illustrated and ATK. Also love your blog now – inspiring to say the least. Amazing how creating good food/meals is such enjoyable and meaningful work…a gift to ourselves and our families. Just found you! What a happy accident. I’ll be lurking for a long time! I had thought about doing this exact thing-but then thought it would cost way too much to make each recipe in each issue of either CI or CC. I appreciate your reviews. How many times/per week are you cooking the Chris Kimball way? Addicted to their show AND their recipes! Keep up the great work! I just found your website today. I love this. I do watch ATK and CI when I can, and have purchased some magazines and books. I have made lots of recipes, some good, some not. Nice to read another opinion. Can’t believe I just found you fantastic site! What a treasure of information and advice. I really like your taste rating, mess rating, and a realistic preparation time. I finally figured to add 30 minutes to any CI, ATK and CC recipe. Many thanks for sharing! Wow, I absolutely love this blog…so glad I found it! Beautiful pictures and so professional looking. I love ATK recipes and have had great success with most of them. Can’t wait to see more of your results. I am so glad I just found this! I am a recent subscriber to (online) ATK, Cooks Country, and Cooks Illustrated. I just got my fibrox knives last week and started making some of their recipes a few weeks ago. I am excited to read through your reviews and experiences! Great idea. Every recipe I have tried from Cooks Illustrated and Cooks Country has been great except one! (Those Argentine Corn Pattie Chicken things) – ick – anyway – great project & blog. I especially like the ratings you gave and the cost. But I didn’t try the Argentine Chicken Patties, lol. Do you remember the recipe name? I lived in Argentina for a year. This blog is giving me life. So inspiring! And I love that you are sharing your love of cooking and food with your boys. Just brilliant all around! I just found your extraordinary site! It really is a treasure, and I find your concept and experiments really inspiring. Wish I had found it earlier than last night, when i was searching for an ATK recipe. I also really like your taste rating, mess rating, and realistic preparation time. Thanks for sharing! I look forward to your future postings, and I am enjoying the past ones. Good for you for making it a family bonding time. Your new devoted fan. So thrilled when I found the CI Stir Fry Noodles with Chicken. Made it last night and it was very good. The only thing is reheating. Doesn’t seem to be as tasty, however, that won’t stop us. I’m always looking to see if anyone posts the recipes from CK< CI, ATK and I found you! Thanks for sharing… I'll be back. Be sure to leave comments on your results. I love your blog and am also obsessed with America’s Test Kitchen. I am similarly working on a project…to cook all of the recipes in my 6 cookbooks and 12 odd CI and CC magazines plus any online recipes I printed. But only about 60 to 70% of my recipes are from them. It has been about 5 years and I am half way through :). I have about 1500 recipes to try still. I may have already commented, but want to subscribe to your posts so am writing again. Just found your blog! I love what you are doing here and I can’t wait to see what’s next. What an undertaking! Congrats to you on your success and ambition. I have and use all of their cookbooks, your site is definitely a perk! A real person, cooking in real time… My particular favorite is the “mess” evaluation as sometimes I can be heard verbally accosting Kimball when I’m staring at the mounds of dishes. Is it possible you haven’t yet made the sticky buns with pecans? Amazing, from the 2005 cookbook. I use maple syrup in the caramel and double the caramel (since this cook likes to sample)…. Mark, do you have any recommendations for the best kind of oven to buy? It sounded like something that you may have already researched yourself. I would like a double oven and any suggestions about brand or resources would be much appreciated! I cook from scratch daily (mostly ATK and Cooks Illustrated 🙂 so I would be happy to spend more to have a really good oven. Thank you! I almost exclusively use Cooks and Cooks Country. I wholly agree with your opinion on turkey burgers. Too labour intensive for a turkey burger. I am not a big fan of turkey. Once a year for Thanksgiving. Do try the slow cooker turkey breast recipe, it is delicious. My husband likes turkey, so it is my go to recipe. It makes plenty of gravy which is the only reason to fix turkey. The corn cakes are arepas. I enjoyed them. They are kind of like a gordita which in El Paso is made with masa and stuffed with red chile pork. Add Mexican coke to your carnitas, limes, and oranges. I, too, just found your blog, while searching for access to the potatoes with bacon and carmelized onion recipe that I received in my Cook’s Test Kitchen notes. As you probably know, some recipes are “free” while other require subscription. And I especially appreciate your commentary on the process of making a particular recipe. Often I’ve wanted to share my results after making something, the wisdom of the crowd, or an individual in the crowd and that kind of thing! I shall try the potato recipe on Sunday. Just stumbled across your site myself. Interesting find. I used to subscribe to Cooks Illustrated but the detailed analyses grew to be tedious. They apply way too much IQ to what they’re doing. Some of the recipes felt positively gymnastic, and that also drained some of the pleasure out of it for me. Still, I admit that I often liked the results. Now, however, rather than trying the recipes myself, I’ll be able to read your blog to get your opinion first. Perfect! Love your site. I too love ATK and trying the recipes. Thanks for all your efforts. Thanks! I’m enjoying it immensely! I’m a big fan of ATK and I just found this site. Your post is very helpful since the ATK folks make everything look effortless. I like to hear other people’s experience with the recipes. Thanks for your effort and have fun. I used to be subscribed to your blog and now, for some reason, I no longer am. How do I get re subscribed. Thank you. I heard the Catalan Style Beef Stew on ATK yesterday and was drooling! I discovered your blog by accident while trying to download the recipe and appreciate your comments, etc. Have just subscribed and look forward to seeing your past, and future, recipes. Thanks for sharing this project! Hello! This sounds really a fun thing to do and I applaud you!! My son is extremely picky and my husband has had braces/bridges on his teeth for the past year that banish him from solid food. Cooking has not been much of a delight for me but I love reading on what you are cooking. I love ATC too! And love how you cook and tweak the recipes. Thanks for all you do here! I just discovered your site and will be following it from here on out! Dude, Great site. Thanks for putting this together and sharing. I love the shows but find the recipes don’t always seem to work out for me too. So glad I found your site. I am also a single parent (13-year-old twins), and was a mediocre cook until I had them. The Christmas after they were born a friend asked what she could get me and I said, “The America’s Test Kitchen Family Cookbook!” Now I occasionally get the great praise from my kids that “Wow, Mom, your (name the recipe) is almost as good as Grandpa’s!” To be fair, their Italian-American grandpa really is a great cook, and has honed his family cooking knowledge with a stay at a cooking school in Sicily even! LOL Anyway, I’m also a much better cook after 13 years of the ATK cookbook, 13 years of the ATK show, and however many years CC has been on. That said, we always take their advice on spicing with a grain of salt and a chili pepper. I grew up in southern Colorado and am raising my kids in northern New Mexico, we like things nicely spiced. Hi Catherine, I am also a single parent to two similarly aged boys. Some of my best memories with the boys involve food, so much so that the youngest has said he wants to be a chef (or a heavy construction machine operator, lol). I grew up in California so love spices, but my Northeastern boys like things a little plain. Hi there, I just wanted you to know that I thoroughly enjoy your take on the ATK and CI recipes. I don’t recall how I found your site, but I’m darned glad I did. I’ve made several of your dishes and they totally rock! Keep up the good work. Thanks Wendy! I appreciate hearing the support. Found your site tonight as I was looking for an ATK recipe for schezwan stir fry pork, put it together, my bride of 44 years said YUM! So I thank you! Will be following your blog from Northern Calif.
Love ATK and CI for years…so happy to have found your blog. Saves me lots of time and so much easier when something has been tried and tested by you. Keep it up. Did you say you do not brown your butter when making perfect chocolate chip cookies? I thought that was what you said in your comments but then in your recipe, seemed like you still browned your butter. Love those cookies, but they always come out flat, not poofy. I recently read that if the butter is too warm cookies will spread. Last time I made chocolate chip cookies I kept the butter a little cooler than room temp and they did not spread. Yeaa! Thanks. That’s so funny. I just made the beef stroganoff recipe again today too. It was delicious but I accidentally over cooked the beef. Still delicious, just a little too tough. Love your blog! Can I request a “Category” to be added in the side drop down that connects to every recipe you rated 5-stars? Would love to see a list of your favorites. Just saw the “5-Star” category today! I’m delighted! Was it there the whole time and I missed it, or did you create it? By the way, your blog is my new favorite, I’ve been visiting it every day since I discovered it. It’s new. I added it after your suggestion. cooks illustrated and all their affiliated names and series, are tedious, over processed, way too time consuming, and nothing more than advertising for their taste testing segments, gadgets, and equipment reviews. Anyone who can not prepare healthy, well tasting foods without using these recipes on a budget is an idiot. Many people find that it’s nice to have an above average meal at least a few times a week. While we can all make a regular meal without a recipe, most of Chris Kimball’s recipes are above-average. But to each his own. Thanks for stopping by. We are out here, reading you every few weeks. I was feeling totally inadequate every time I tried a CI/ATK recipe that turned out less than stellar. But your blog has made me realize I’m not alone. You too don’t always love the results. I’m enjoying you. I discovered your blog when I needed to find the recipe for Peruvian Roast Chicken, after successfully making it and then having it disappear the next time I looked for it. As others have said, it’s a great idea and blog! I look forward to getting emails when you post recipes. Wondering if there is a place on your site where I can see a full list of all recipes that you’ve tried and rated? Another newbie here… having just found your blog through google! Enjoying the recipes and will be following along, sharing your blog addy with my foodie hubby and daughter too! Thanks for all you do! Ditto, ditto, ditto to every positive comment made here. I have a plethora of Cook’s/Test Kitchen/Cook’s Country cookbooks and find myself frustrated much of the time when using them. I’ve noticed that several recipes on T.V. are slightly different than their printed versions (or vice versa) so now I will turn to you as a first resource (and can dump the 100 or so shows I have recorded on my DVR). My DH will now have room to record his stuff! I hope you have an idea of how absolutely wonderful it is that you do this!! Wow…thank you very much! It means a lot to me to hear. Hi: What at a tremendous idea you have going here. This is what I have always wanted after watching years of shows and getting magazines in black and white etc with their staff never answering my emails etc. I wanted to know if their site(s) had feedback/comments on the recipies since I have had a few bad experiences with some and others are just plain off in the execution and they said no to comments. Just like the above comment, shows and magazine recipes are different, then as time goes by different versions of the “best whatever”… recipe keeps changing, or maybe it wasn’t the best to start with. I found this after watching the recent Cornish game hen/apple tart show, and just had to make one of the those tarts. But after reading the comments folks made to your take on it, I’m going to change it up a bit also. Will post how my version works out tomorrow. Just found your blog and made two recipes today. We plan to tackle as many as we can. Thanks! I saw that too, Karl! He is still doing the radio show, but won’t be involved in the television show or the publications moving forward. Mark, will you change the name of your blog now that Kimball is gone? Thanks for all your hard work- I really enjoy your blog! Hi Erin, Karl….Yes, I was very disappointed when I heard the news of Chris’ departure in November. The sad news about his departure is much more important than my little blog, and I hope that I am still able to follow his culinary contributions in the future. 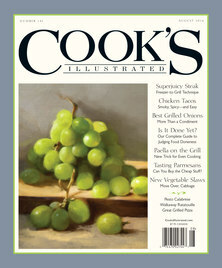 I just received my new issue of Cook’s Illustrated and Chris Kimball’s editorial isn’t there. I really enjoyed that first piece and am sorry I renewed my subscription, the magazine just doesn’t seem complete. Yes I love this site, but am surprised Chris Kimball, although not with CI any longer, allowed it. The CI site is hard to get any free recipe from unless you sign up and pay . So I am really enjoying this. Hi there: Just found your site, which I really appreciate! Have paid a couple of times for a limited America’s Test Kitchen membership and have not use it much. Tried to log on a few minutes ago to track down something specific and the most recent one has expired. Fortunately, I found what I was looking for here and will be returning frequently! As others have said, it’s so helpful to have “real” kitchen experience and feedback anyway. Thanks so much!! I just searched out the tabbouleh recipe you posted from ATK and I was hoping you would post your version which you love best. You have tested enough recipes to have lots of credibility so I would love to try your version of Tabbouleh! Thank you. So pleased to find your site. Thank You! So his new website is Milk Street Kitchen. So far it just seems to be a website with no content and an invitation to sign up for newsletters. Yes, I saw the news article. It seems he is going to try for simpler cooking. Just letting you know you have another fan! I just found your blog, and appreciate it so much! I get the magazines and watch the shows, and sometimes even try the recipes, but have often wished for feedback from someone who has tried them out. You’re a great resource! What a great idea to make Cook Illustrated recipes. I love the America Test Kitchen and Cooks’s Illustrated. Love the pictures of Italy. I have subscribed to Cooks Illustrated magazine and have had an online subscription. I find myself referring to your site more often as your comments for the home cook are salient. I don’t know where you find the time, but your efforts are greatly appreciated. Thank you. This is so delicious. I have it saved in my history and make it the night before my son’s track meets. Thank you for getting the skinny on this recipe. I have been trying to get a hold of you. How are the boys and the family? Hope you remember me Mayra, la mamá de Jimmy, Moises and Jakob. Un gran saludo. I fear that you have given up cooking and are dining out every meal in the last year. More’s the pity. I see that you haven’t posted in a while. I hope that you are continuing to tackle ATK recipes. I very much miss current blog posts. I’m sure you’re aware that CK’s new venture is MilkStreet. I’d be interested to hear your take on the publication.